About a year ago, I had the opportunity to speak to a group of moms about their kids and the outside influences that are vying for their attention. Confession: I’ve always felt a bit unequipped when it comes to “mom talk” primarily because I only have one (12 going on 25) child. I haven’t raised a small army, don’t have the vantage point of the mother who has already raised up her children, nor do I have the hindsight that comes from navigating multiple ages, seasons, and experiences. Times have changed and our children live in a world that is marked with challenges that we didn’t face. They are moment by moment asked to make choices between right and wrong and we as parents have the daunting task of preparing them to navigate the things that they see and hear all around them. We don’t have the luxury of being indifferent or passive – the world is gunning for our kids. As believers, our call is to go out into the world; to be salt and light, to spread truth. We are to infiltrate, not isolate. As attractive as a bubble might be to keep them safely hidden from the world, we are not going to isolate our children from outside influences. Our job is to equip them – to be deliberate, wise, to choose the more excellent way – to follow hard after God and His Word. 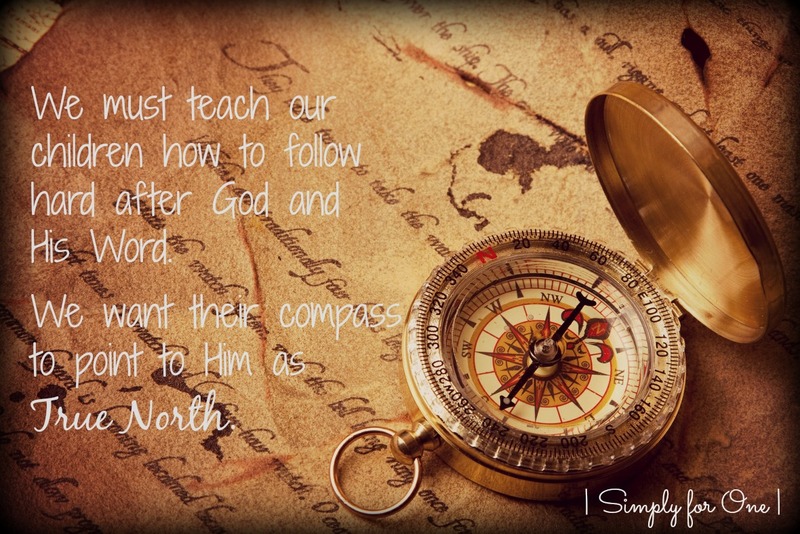 We want their compass to point to Him as True North. A good old face to face chat is a pretty rare thing. Texting, social media, and an electronically connected society means that our kids have at-their-fingertip access to an instantly ushered in world of information. A great deal which is nonsense and lies wrapped in very attractive packages. Deuteronomy 6:6-7 commands us to diligently teach our children…to talk about God’s word when we sit, when we walk, when we lie down, when we get up. It tells us to talk and keep talking. We need to have the hard conversations with our kids where we are staring them in the eyes and setting boundaries, defining limitations and consequences, and letting them know what our expectations are – what God’s expectations are. Our lines of communication should be open, consistent, and travel both ways. We speak to be heard and we listen to understand. If they are delighted and excited, scared or confused, conflicted or misunderstood, when they’ve made a mistake – our kids should feel able to run to us. If you are unapproachable with the small things, they certainly won’t come to you with the big. We are the safe haven – the soft place to land. While the Lord is their guard and guide, we are the front line of defense. And while consequences are quite often necessary and follow through is a must, we receive our kids with grace, love, and acceptance – the same way we [sinners] are received by our Father. Do you tell them not to lie, but then lie yourself – even the little white ones? Are you exhorting them not to engage in underage drinking, smoking, or sexual sin but you are modeling overindulgent behavior yourself? Do you demand respect when they speak, but engage in the opposite with their father or other adults? Do you long for them to seek God and His word, but you haven’t gone to church or cracked your bible in a month? Your kids are going to wonder why – and then they’re going to ask. Are your prepared to answer them? Be honest and be real. The bible is full of hard lessons learned and our own missteps can be quite compelling to our kids. Let them know you warn them from experience and a well established path of faith. If our children don’t receive honesty at home, they are going to go looking for it elsewhere. The world and all its temptations are ready and waiting to deliver a totally skewed version of truth to our kids. They need to know your truth and they need to know God’s truth. There are NO perfect parents and there are NO perfect children. We aren’t perfect people – it’s why we need a perfect Savior. We want our children to strive for excellence, not perfection. A bad choice does not make a bad person. Mistakes and failures are not the end of the world. Failure is simply an opportunity to exercise growth. We lean [into Jesus], we learn [to pursue forgiveness], and we survive [by mercy and grace to live another day of faith]. We need to talk to our kids about more than what God’s word says, but why God’s word works. Teach through the teachable moments. Make God’s word relevant and applicable to them on the playground, the school bus, and the high school campus. Then it will be relevant everywhere, always. His word is alive, so don’t can it and cage it in hidden meaning. You don’t need a degree in theology and a 5 point sermon. You just need to sit and speak truth. It takes a few intentional moments of time – which usually matches our kid’s attention span quite nicely. I’ll share the second part of this message next week and tackle the question – Will Our Kids Know How to be Still: Social Media, Friends and Followers. I pray you found a few nuggets of insight and wisdom here. I’d love to hear what works for you as you fling wide the doors of communication with your children. ** Linking up with the beautiful blogging communities and the friends of my heart, Kelly Balarie, Holley Gerth, Kristin Hill Taylor, and Jennifer Dukes Lee. Great truth here Tiffany. We need to be fighting for our kids hearts because there is SO much out there trying to grab their attention and lead them astray. Thanks for these things that I need to be reminded about to do with my kids. Great practical wisdom here. I look forward to part 2. Don’t doubt what you have to share, Tiffany. You’re a wealth of wisdom and I’m grateful you share from where you are. God is doing a mighty work in you and through you. I’m glad I get to witness some of that here in your words. And I’m glad you shared your words at #ThreeWordWednesday. Thank you for that encouragement, Kristin. I’m grateful for the things God has shown me and pray that I can pass them on to my son and others with clarity. While I’m only raising one, as a teacher I’m around a lot of kids whom I do my very best to speak truth too, as God allows. Thank you for linking arms with me, sister friend…your presence is pure joy! As a grandmother of a 10 year old I can appreciate all that you have said. I so want him to know the Lord and the Bible. The young are so innocent of heart and precious. I have printed out your 12 verses. I know that my grand child knows the word of God and he attends a Christian school but sadly the world is still out there but our trust in God will fulfill our lives and the lives of our children and grand children. The world I out there, Yvonne. But I have no doubt that with mom AND grandma speaking truth, your grandson is going to be well-equipped. So glad you found the resources print worthy. :) Blessings! Tiffany, you may only have one child who is not yet grown but there is so much wisdom in your words. These are things that I’m learning too and I so appreciate you reinforcing here. No, we cannot phone it in with our kids. Not at all. Praying for God’s wisdom tonight for the days ahead. Blessings to you, friend. You made very good points! Keeping the lines of communication open has made all the difference with my daughter. The draw of social media has put a whole new spin on parenting that other generations didn’t have to deal with. It’s so tempting to put them in a bubble :). I know, Alecia…that bubble does grow more attractive. :) You are so right, social media is a whole new challenge. At 12, my son is showing very little interest and even says he doesn’t want the “drama”…I’m running with that for as long as we can!! Always great to hear from you. Thank you for stopping by, friend. Parenting is not for the faint of heart or lazy, that’s for sure! This is all wonderful advice. Keeping lines of communication open is so vital–otherwise, everything else falls on deaf ears. Seriously one of the hardest, ever-evolving jobs ever! So glad we have His word and Spirit to help or I’m certain I’d make a mess of the whole thing!! ;) Thanks for visiting, Anita…love hearing from you. This is an encouraging post . 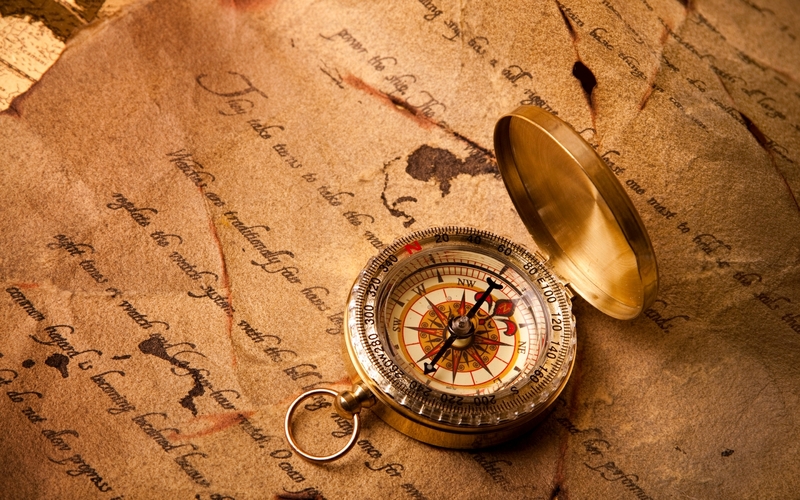 . . this world is filled with “hidden dangers, toils, and snares;” our own hearts are filled with them. We must speak and live truth before our children, through having that intimate, trusting relationship with our heavenly Father–I loved this–“You don’t need a degree in theology and a 5 point sermon. You just need to sit and speak truth.” We need to be real and speak the truth to our children through the grace and strength and opportunities that He supplies. Thank you for sharing; it was a blessing to me! So true, Rebekah…this world has many dangers for us and our kids. But we serve a God who has overcome this world, right?!! And yes, I’m so glad that in His strength and grace we can lead with truth before our kids. So blessed that you stopped by and thank you for sharing your thoughts. Beautifully said. I am visiting from Coffee for your Heart. Thank you, Kathleen. So glad you visited!